We’re continuing with the plan+do™ styles. Today is about the awesomeness of the Expressive. We’ll discover what kind of planner works best for them + how to do their day in the most productive way. 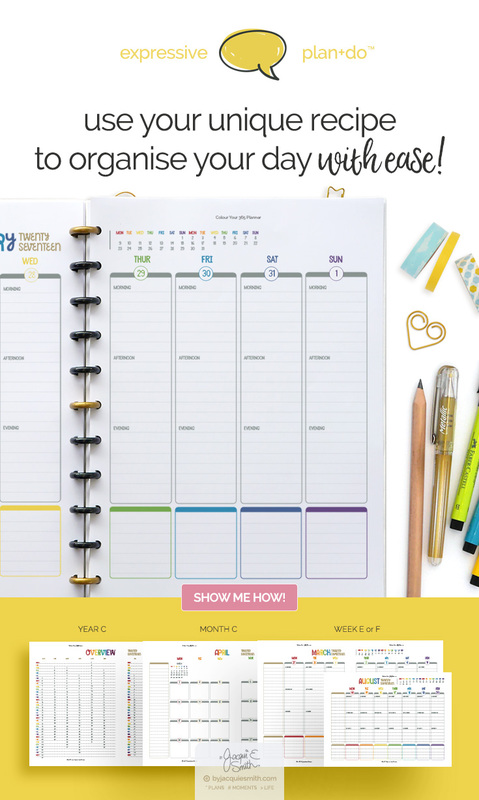 With your unique Expressive plan+do™ style you can create a unique planner, one that works with you + organise your day with ease! #Tip : You can read about the Creative style here. Using this style isn’t about being theatrical, although many people who enjoy the arts may find themselves within the Expressive plan+do™ style. I was able to bust out of the planning loop + actually get things done. Using a one page weekly and a master todo list spread was freedom! But I’m getting ahead of myself. Let’s take a look at the Expressive plan+do™ style to see how you can use your unique planner + organise your day with ease. Expressive’s love connecting with people. You anticipate the needs + feelings of others. And are passionate about forming relationships. You intuitively know what needs to be done. You tend to go with your gut when making decisions. Expressive’s love nothing better than to make sure everyone is ok. You’re a cheerleader, encouraging others to stay the course + see the job done. Often times you find yourself connecting with others through stories. Your open + informal approach forms bonds with all kinds of different people. Because of your intuition + the way you like to connect with others, how you plan your day will look different too. When you can structure your day with time to check in with others, you focus better. Give yourself the gift of connection + the space to create a day that works with you. Like the Creative, a tightly scheduled day doesn’t bring you peace or joy like it does for others. Ideally you like to work with themed blocks of time for your projects + tasks. This allows you to divide your day to match your energy + do what needs to be done. Having specific theme blocks in your day works great. You can match your work to your energy which helps to keep you from getting bored or distracted. Within these theme blocks you can batch smaller + less exciting tasks together to keep you from getting distracted. Perfect for getting those tedious yet important tasks done. To connect the people + pieces of your week you’ll enjoy using a single page year overview for a quick glance. While a double page monthly spread is essential to organise people + plans. With a weekly page for a little structure + master todo list, you’ll have the space you crave while being able to focus on what matters. If you are coordinating a larger family or mixing personal + business together you may prefer a double week spread with your master todo list. And just like your schedule, you benefit from additional space. Add some grid or note pages on the reverse side of your month and weekly pages throughout your planner. Either the night before or early that morning list the top three things you need to do or people to connect with for the day. And if you have time to spare after these are done you can check in with your master todo list for what’s next. When things pop into your mind simply write it on the master todo list. Even though you’d love to chat to them straight away, with it written down you don’t need to be concerned that you’ll forget about it later. As a Expressive you enjoy a little colour in your planner. Colour coding schedules + tasks with stickers, washi tape + pens is half the planning fun! 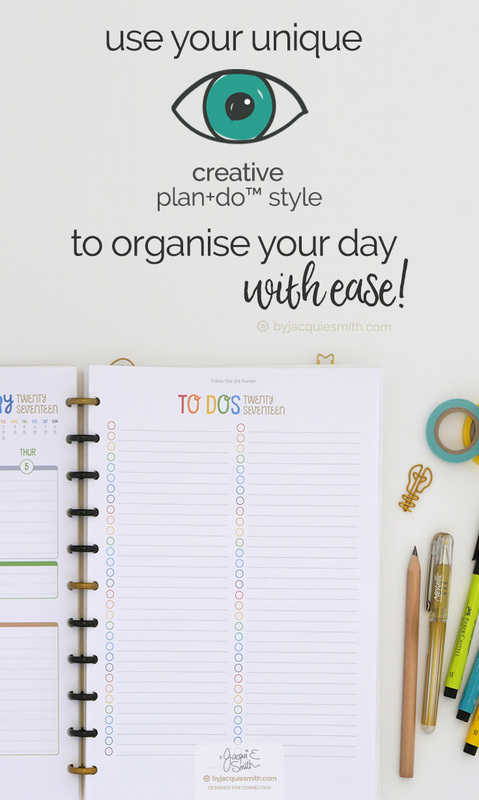 Now you know how to use the Expressive plan+do™ style to create your unique planner + organise your day with ease. Visit the shop to purchase your unique Expressive planner printables + get started today.